With over a billion active users each day, of which 46% visit the site when shopping online, Facebook decided to launch Facebook Dynamic Ads in 2015. 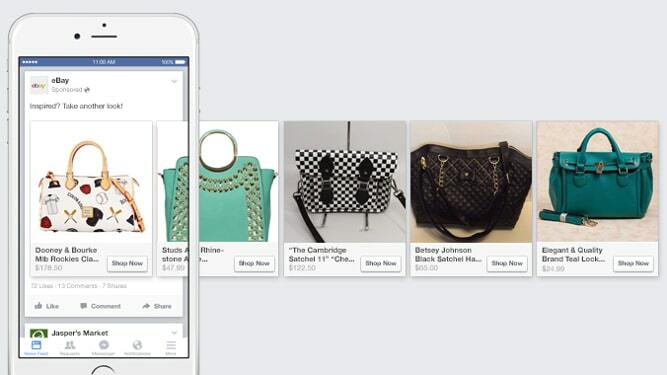 This new advertising format aims to strengthen Facebook’s presence in the e-commerce sector. 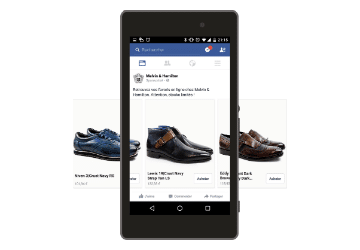 Facebook Dynamic Ads let online retailers promote their product catalogue within the social network. Thanks to retargeting and/or acquisition campaigns, online retailers can customise advertising campaigns throughout the purchasing process, from when consumers first encounter a product to when they complete a purchase. However, in order to set up quality, performing ads, there are several steps to follow, such as fixing bids. Thus, after having downloaded your product catalogue into Business Manager and installed or modified your Facebook pixel, you have to configure your advertising model in Power Editor, which is where you can set up your bids. Find out which bids you should choose for your Facebook Dynamic Ads campaigns, and how to optimise them to generate maximum ROI. Which bids are best for your Dynamic Ad campaigns? You have the choice between setting up automatic or manual bids. A bid is the maximum sum that you are willing to spend to reach your advertising objective, and the decision is made depending on how you want to pay for your advertising campaign. Budget (daily or global) represents the maximum amount you want to spend on a campaign. If you decide to use automatic bids, Facebook will optimise them to help you reach your objective without exceeding your budget. Example: convert as much as possible at the best price. Facebook advises advertisers to choose this bid type for their campaigns. Once you have created your ads, you can get a quote of how much the automatic bids model will cost you in the ‘Tariff’ section. On the contrary, with manual bids you can choose the maximum target bid. Thus, you can fix the value that you attribute to a conversion to your online store, depending on your transformation rate. Which invoicing model should you use: CPC or CPM? Once you have chosen the type of bid, you will have to choose the way your adverts are invoiced; either pay per click or per thousand impressions. If your main objective is to generate traffic to your e-commerce website and drive conversions, choose the CPC model. With cost-per-click (CPC), you are charged when an internet user clicks on an advert and is redirected to your online store. If you are more interested in increasing brand awareness, the cost per thousand impressions (CPM) model is better for your business. You are invoiced when your advert appears in an internet user’s Facebook news feed (on a computer or mobile device), or in the right hand column on computers only. NB: When your advert is live, you will be invoiced either using CPC or CPM, but this amount will never exceed your daily or global budget. If you choose to optimise for link clicks, Facebook will target the most susceptible internet users to entice them to click on your advert and subsequently visit your online store. If you choose to optimise your advert for impressions, your advert will be shown to as many people as possible at the lowest possible cost. If you decide to optimise your advert for conversion events, your advert will be shown to internet users within your audience who are used to buying your products. Although Facebook recommends advertisers optimise for link clicks, the social network also recommends carrying out tests to find out which optimisation is best for business. NB: The way in which you optimise your advert does not correspond with what you pay. Whatever you choose, make sure you base the model of your campaigns on your business objectives, to ensure they are as performing as possible. You should also carry out as many tests as possible to see which type of advert performs well on which audience, as well as which types of bids and optimisations work best for your e-commerce business activity. We advise our retailers to use automatic bids and to optimise for link clicks, using the CPC invoicing model, said Audrey Dudal, Lengow’s Product Marketing Manager. Once your bids have been configured, the next step is to create your audience, be it custom, look-alike or saved. To know more about Facebook audiences, take a look at our presentation. Download our Facebook whitepaper now!